Aerohive’s Atom AP30 revolutionizes the way Wi-Fi is designed, deployed, and RE-deployed, providing enterprise access, monitoring, and analytics in a new compact form factor. Extend coverage to RF dead zones. 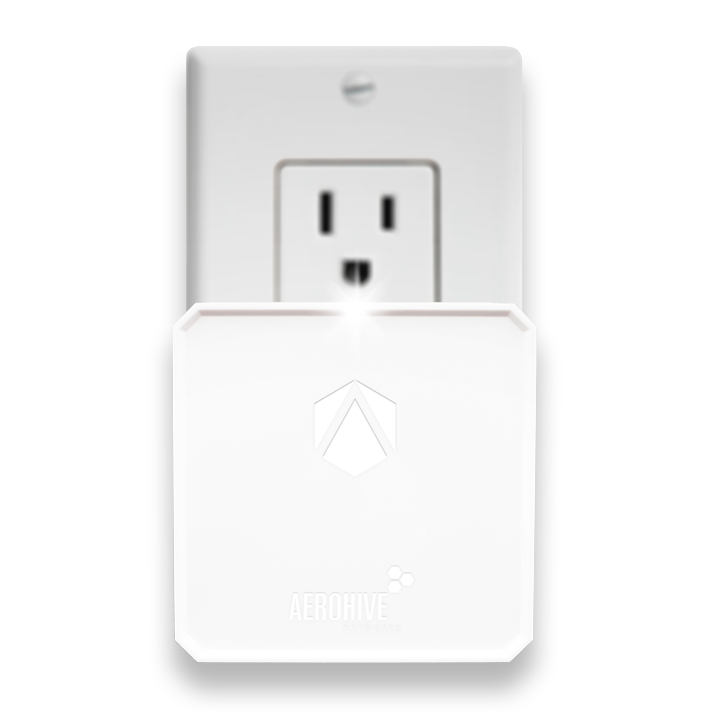 Aerohive Atom AP30 can be temporarily or permanently installed in minutes to cover distant corners of the office, long hallways or passageways, staircases, breakrooms, storage rooms, etc., saving the time and money of pulling new cable or re-positioning existing ceiling-mounted access points. Aerohive Atom AP30 can augment overloaded ceiling-mounted access points in any-sized meeting space. Aerohive Atom AP30 can be temporarily or permanently installed in minutes to mitigate overloaded ceiling-mounted access points in conference rooms, training rooms, cafeterias, lobby areas, waiting rooms, gymnasiums, etc. Aerohive Atom AP30 can connect to 3rd-party Wi-Fi networks to help compensate coverage or capacity challenges. With sensor mode equipped, Aerohive Atom AP30 may also be used to monitor 3rd-party networks for efficiency and security so that administrators can optimize their network accordingly. Aerohive Atom AP30 can instantly extend corporate connectivity to anywhere you can plug it in to a power socket and get an IP address. Aerohive Atom AP30’s native VPN capability can instantly make your corporate SSID and security available for teleworkers, marketing events, sales demonstrations, offsite meetings, embedded employees consulting for other companies, temporary offices, and so on. Aerohive Atom AP30 can quickly and easily bridge an IoT device to an Aerohive or 3rd-party network in any easy or hard-to-reach location. Aerohive Atom AP30 can act like an IoT hub and securely connect any Wi-Fi and/or Ethernet-based IoT device and sensor. Aerohive Atom AP30 can operate as an overlay solution with its integrated Wi-Fi and BLE (Bluetooth Low Energy) radios. Atom AP30 leverages Aerohive’s Cloud Services APIs for customized customer business and network applications. Its compact design enables it to blend in with any décor, while packing all the features and functionality of an Aerohive enterprise-class ceiling mounted Access Point. Optional security bracket (sold separately). Powered by Cloud-Management and an underlying Software-Defined Wi-Fi architecture, Atom AP30 can be installed and operational in less than a minute. Watch how Bradley Chambers, Director of IT at Brainerd Baptist School uses the Aerohive Atom AP30. Learn more about the new way to Wi-Fi with this short product introduction video. Ever suffered from Wi-Fi dead zones? Watch this video to see how quickly you can eliminate them.